They should add the soundtrack to this just like they did with Guardians. can we have a women of wakanda edition? love them all especially Shuri! Lol Negative, You sure about that? Love it, would not be surprised if the artwork used is very close to yours. There’s been a few reviews coming out of China that have been less than flattering. Maybe that’s what that poster was referring to? They should add the soundtrack to his just like they did with Guardians. There’s been a few reviews coming out of China that have been less than flattering. 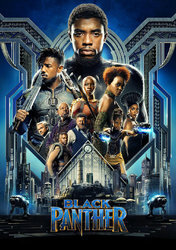 "... not used to a film full of black people. 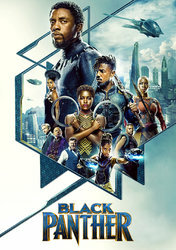 Black Panther is black, all the major characters are black, a lot of scenes are black, the car-chasing scene is black — the blackness has really made me drowsy." "When I entered the theater, a bunch of black people were fighting in the night… I’ve never been in a theater so dark that I couldn’t find my seat." 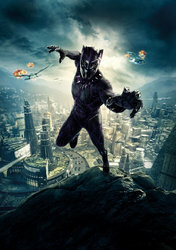 "The film is filled with black actors and actresses. Also, because the film’s colors are a bit dark, it’s nearly a torture for the eyes to watch the film’s 3D version in the theater." "Even if the screen with the highest brightness is selected, the movie still looks dark." Many Chinese of course have historical and traditional attitudes towards race . . .
Nice job as always, N.
BF will be one of the eds I buy for sure, along with Target exclusive. @zesty you not done a mock one yet, other than your slipbox? This movie received universal acclaim, and the IMDB score is no doubt significantly tainted by racist trolls. This movie received amazing reviews. Both its IMDb score and audience score on Rotten Tomatoes were affected by alt-right/anti-Disney basement dwellers. Same happened to A Wrinkle in Time, although Black Panther still did well enough to keep its scores relatively high. Wrinkle has it rough. China kind of hates black people and we shouldn't even bat an eyelid in their direction, honestly. 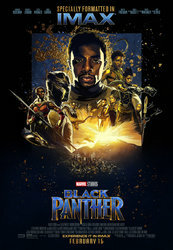 Notice how the Asian posters all have T'Challa alone, and masked, while the American/everywhere else posters have the entire cast on display, unmasked. Not the first time they've done something like that, either. Both its IMDb score and audience score on Rotten Tomatoes were affected by alt-right/anti-Disney basement dwellers. Same happened to A Wrinkle in Time, although Black Panther is still much higher. That movie has it rough. 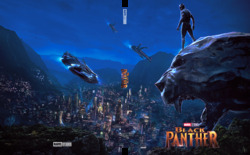 Notice how the Asian posters all have T'Challa alone, and masked, while the American/everywhere else posters have the entire cast, unmasked. Bloody ridiculous that race still plays a part in cinema nowadays, especially in such a blockbuster franchise with superheroes. Anyway, I'll join the queue for this with everybody else. Surely going to be a stunning set as usual. That Double Lenti would be amazing! Yes official poster The Russo Brothers posted it on Twitter and instagram. 100% Agree with you! Perfect for steelbook! Saw this poster too and thought the exact same thing and hope Blufans picks it up! I'm a big DC fan too.. but this 2nd infinity war trailer is better than whole Justice League movie. I'm sure infinity war will gross at least 2 billion $ worldwide. You bet'cha! Infinity War will rake it in. It looks absolutely amazing and I am already salivating over the inevitable variety of Premiums that will be offered for it. A Thanos lenti edition for example!